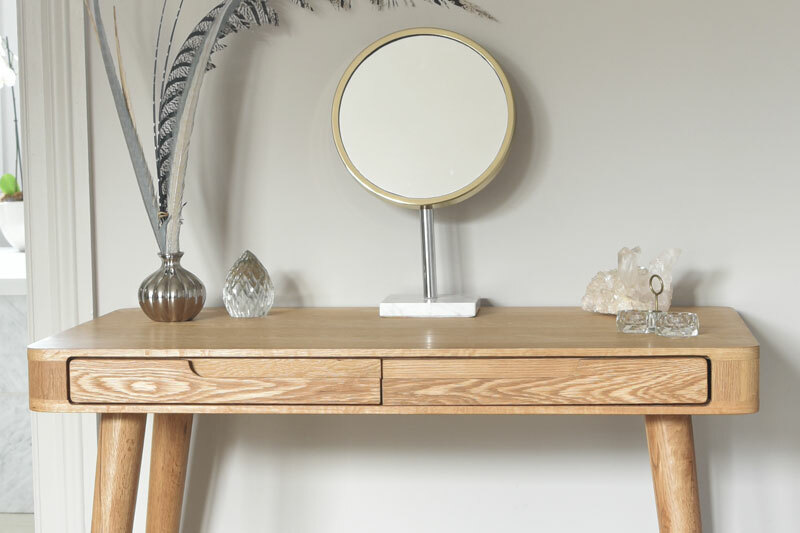 All the best things come in twos – double dates, double bills, double digits – and our Madrid Dressing Table is no exception. 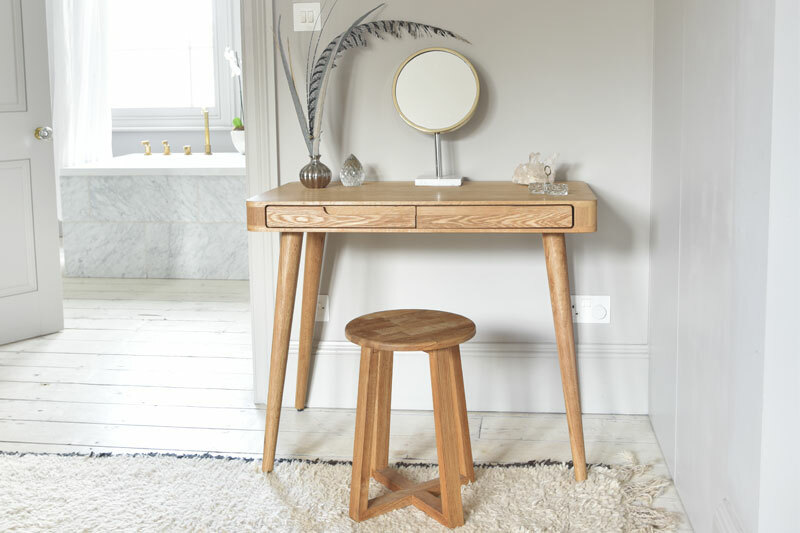 A stylish dressing table by night, this space saving saviour magically transforms into a sleek desk by day. 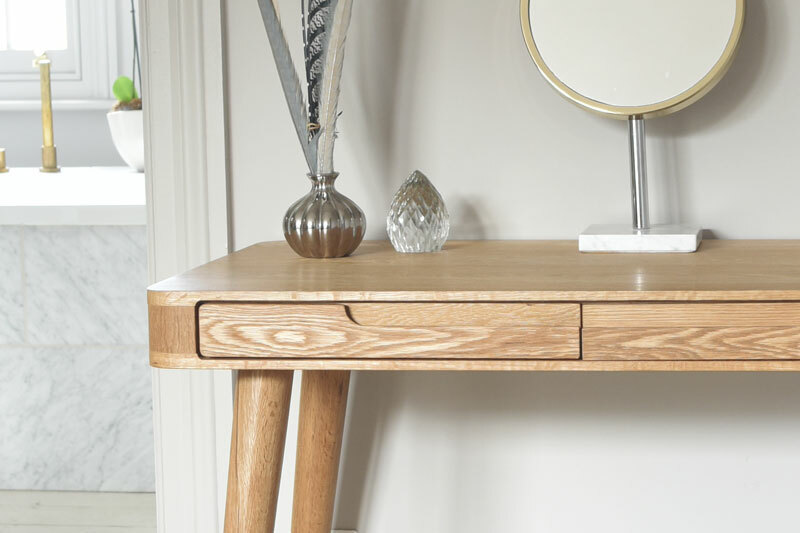 Made from oak veneered panels on stunning solid oak legs with two drawers in the middle for storing hidden treasures. Dual function furniture that’s twice as nice! Assembly is quick and easy. You can choose a delivery to one of our stores and collect your order free of charge. A member of the store team will contact you very soon to let you know when your order will be ready for collection. Please bring the card you paid with and the printed invoice for the collection of the item. If the product you ordered is out of stock in the store where you wish to collect from, collection time may vary between 1-19 working days. The lead time on click and collect orders vary depending on stock availability and the delivery schedule of your selected store. When your order is despatched you will receive a text with ParcelForce tracking details. You can rearrange the delivery date by contacting Parcelforce if needed. A signature will be required. Please note: The total delivery charge for the order will be calculated at checkout and may vary depending on your total order weight and postcode area. Sign up for our latest news & offers. You will be the first to know about our new products, offers & sales.